Over the summer, we’ve been making a bunch of blankets to snuggle up in once it gets chilly. Aside from the baby blankets like this Summer Waves pattern, I’ve made blankets for my aunt, my sister and finally one for myself. 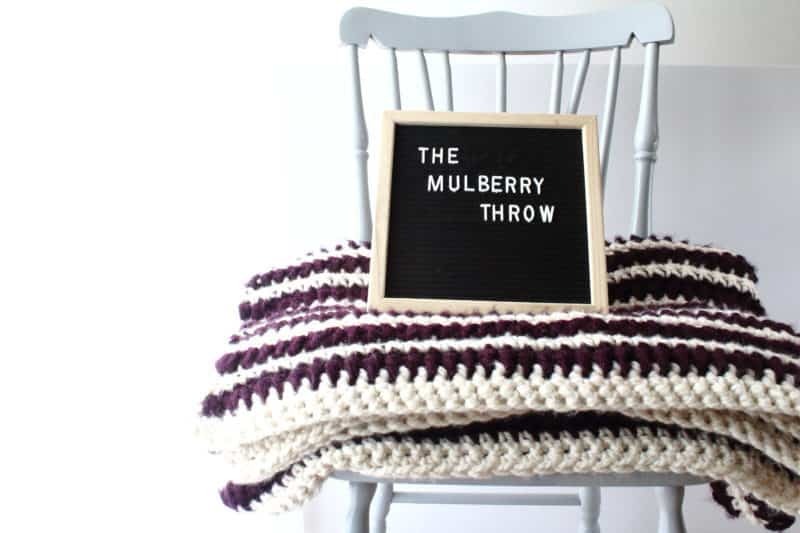 I’ll share them all with you over the next few weeks, but today, let’s talk about the easy crochet blanket I’m calling the Mulberry Throw. It’s my favorite of the bunch and I think you’ll love it too! This blanket was actually meant to be a baby blanket, but I loved it so much I just made it bigger and kept it for myself. It’s a thick and heavy blanket that’s so perfect for snuggling into to watch a movie or read a book, which I do a lot of during the Fall/Winter. Purple is my favorite color and this yarn had the most beautiful deep, rich Eggplant that worked so well with the cream colored yarn I’ve had for ages. They’re both from Lion Brand’s Thick and Quick line, and there are so many other options if you want to really make it yours. 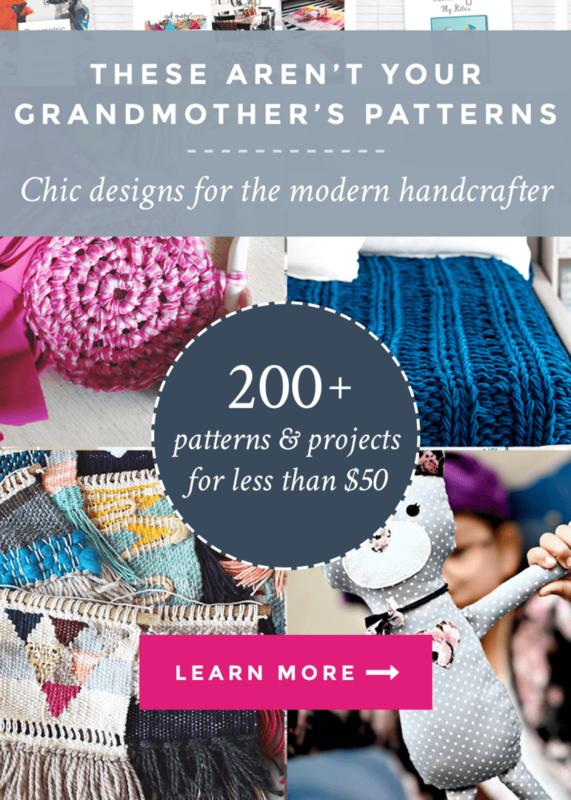 Related: Handmade with Love Super Bundle Expiring soon! 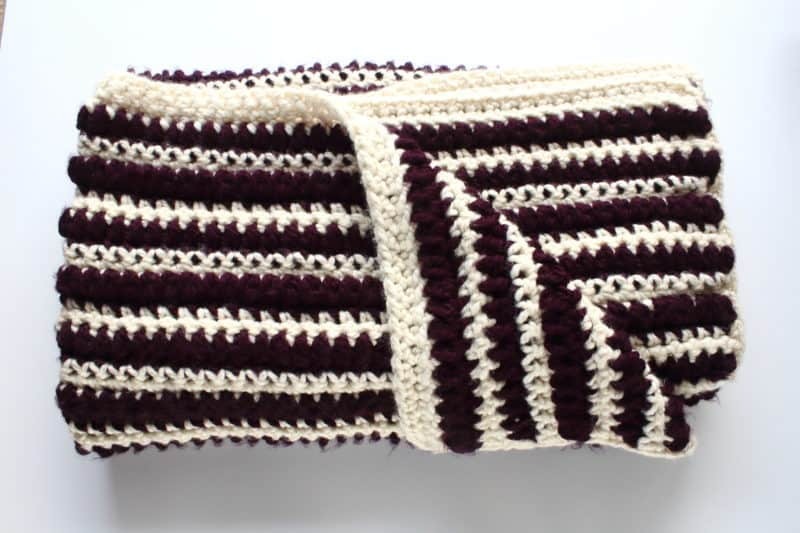 This blanket is made up using only single crochets and puff stitches. 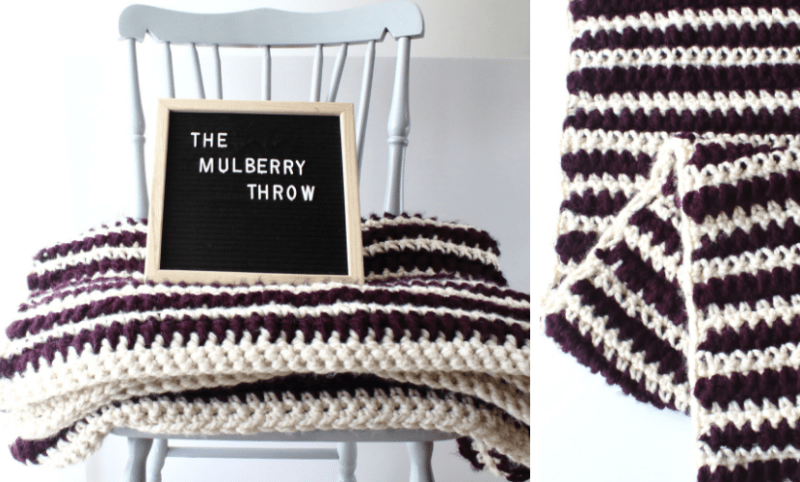 It’s a super easy crochet blanket, but it feels luxurious. It would be an amazing Christmas present if you’re looking for something that feels high-end, but it still has a special handmade quality to it. It does use a lot of yarn since there isn’t much in each skein, but I think that wow-factor you get is totally worth it. puff – yarn over and pull up a loop, yo and pull up another loop, yo and pull through all 5 loops. Row 1: Start with your contrast color, which is Starlight for mine, and chain 71. Row 2: Turn and SC in each space across (70). 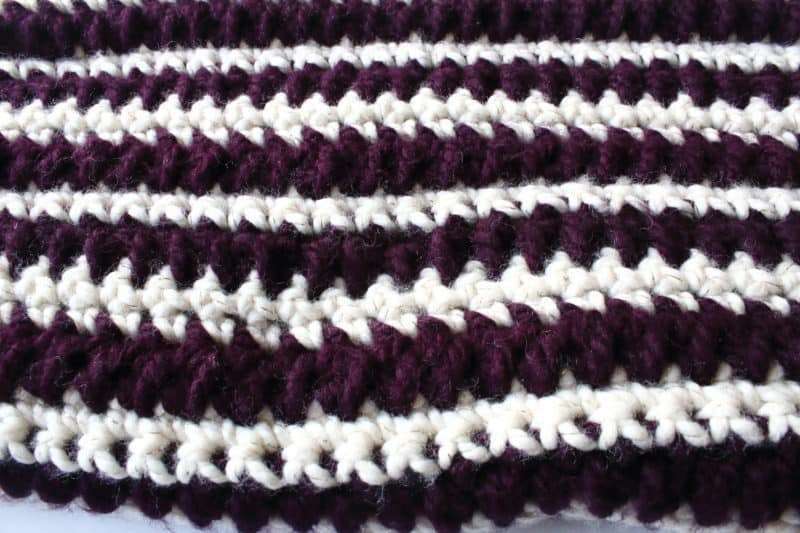 Row 3: Switch to the main color (Eggplant) and chain 2. Turn and work a puff into each SC space across (70). Do NOT chain 1 after each puff stitch. Row 4: Switch to contrast color and chain 1. SC into the top of each puff stitch along the row. Row 5: Chain 1, SC into each space. Rows 6-79: Repeat rows 3-5 until the blanket is the desired length. If you want, you can make the blanket longer by working more rows but be sure to end on row 4. 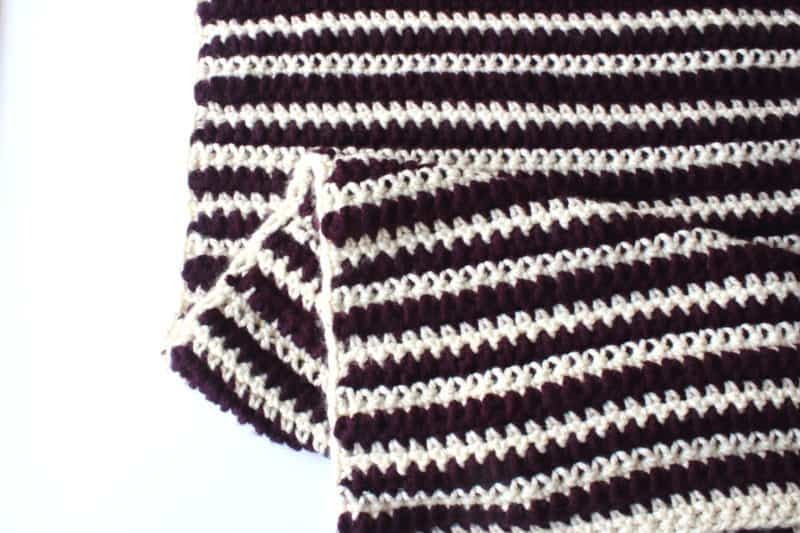 To finish this easy crochet blanket, ch 1 and SC along the next row. In the last space, work 2 SC and turn to work into the long side of the blanket. Work 1 SC into each ch1 space and 2 SC into each chain 2 space until you get to the corner. Then SC 2 into last space and turn to work into the foundation row. SC along and work 2 SC into the last space. Turn, and SC along the other long side. When you reach the end, slip stitch to the last space and bind off. Now just use a tapestry needle to weave in all the loose ends and trim the excess yarn. This blanket doesn’t need to be blocked or finished in any way since it’s already heavy enough to lay flat. I am obsessed with how soft and cozy this blanket is and I really hope you make it so you can feel what I mean! This would have made an amazing gift or even a very easy custom order that you can charge a lot for if you sell your makes, but I’m happy keeping this for myself. It’s one of the maybe 3 or 4 items I have made for myself over the last 10 years. I can see myself using it for years and years to come, wrapped up with a good book in hand. Thanks so much for reading! 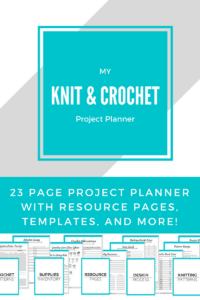 If you like this easy crochet blanket pattern, be sure to subscribe to the blog down below. Just fill out the box and you’ll get new patterns emailed to you and tips, tricks, and special offers sent right to your inbox for free. 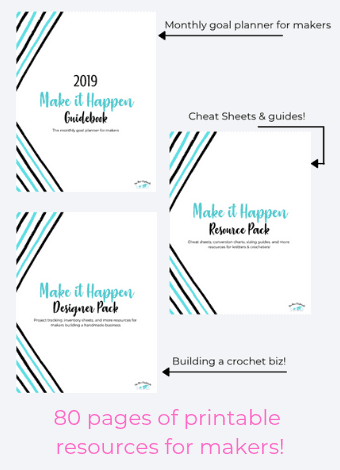 You’ll also get my free ebook, The Beginner’s Guide to Crochet, and handy little printables just for subscribers. That’s all for today, but I will be back with more patterns next week. 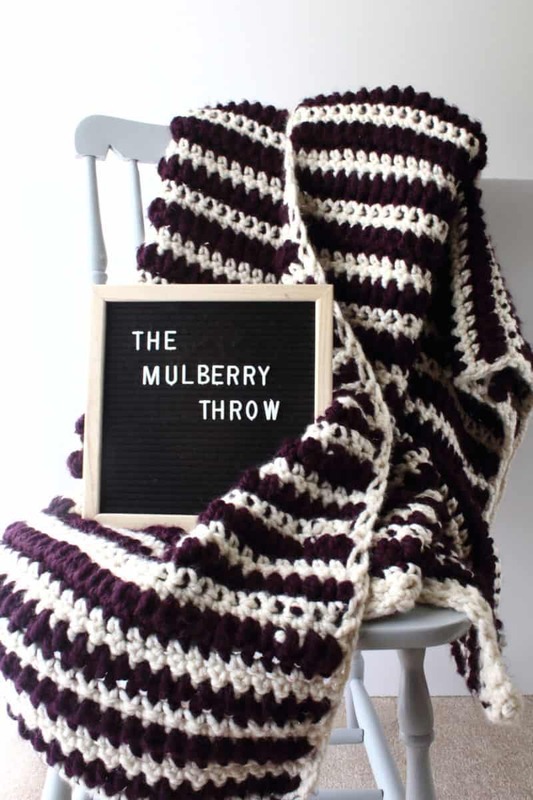 Hi, I was just checking out your Mulberry Throw & I saw that you were fastening off each color after every row & weaving in all those ends! That’s so much work & you really don’t have to do it that way. 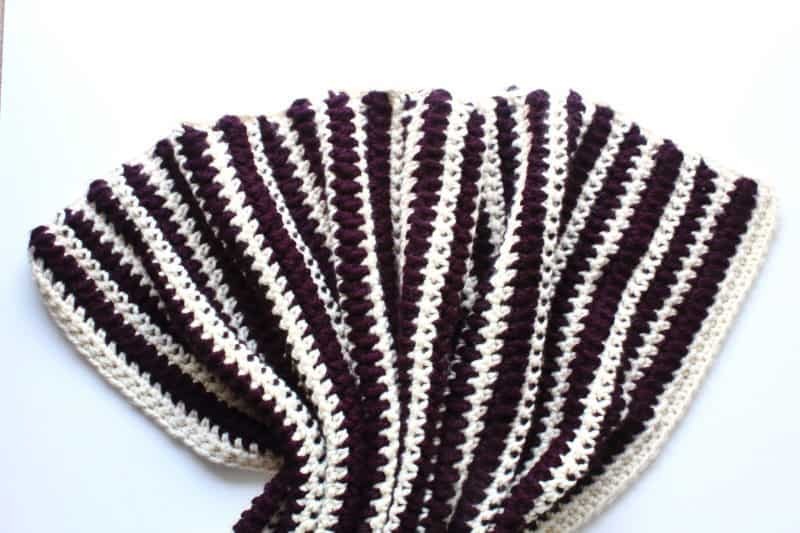 I’d like to suggest (I’m a lazy old lady who has been crocheting for more than 40 years) that instead of fastening off after each row , try this: Work your last stitch all the way through until your last “yarn over”, then complete your last stitch with your new color. Then start your turning chain & begin your next row. The color you aren’t using isn’t fastened off & cut. 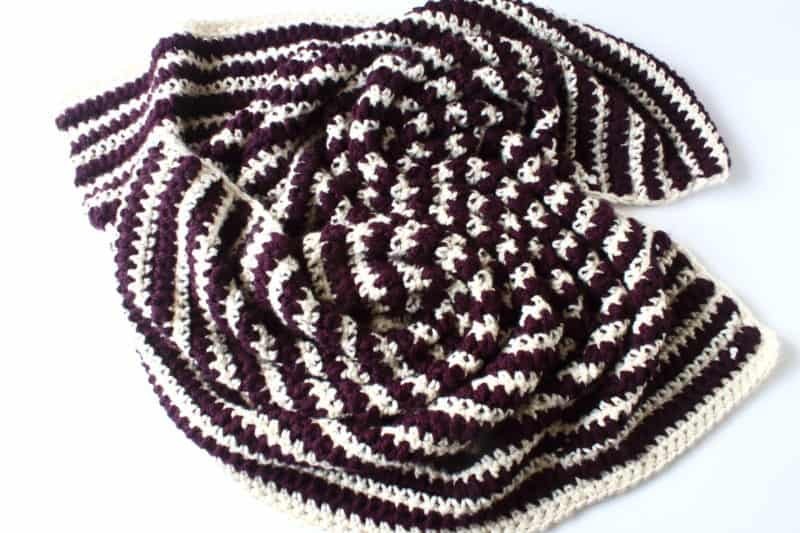 Instead, you carry it along loosely with you, crocheting over it as you are working your other color. It cuts down on weaving in, places fastened off (always places your blanket could potentially come apart), plus it adds some more yarn weight, or warmth, to the blanket. I first learned about carrying my unused color along this way when I made a black & white Houndstooth Afghan for my son in law. Every row is single crochet & hdc. It would have taken me forever to weave in all those ends, changing color every row. That’s a great suggestion, and one I do use for smaller projects. 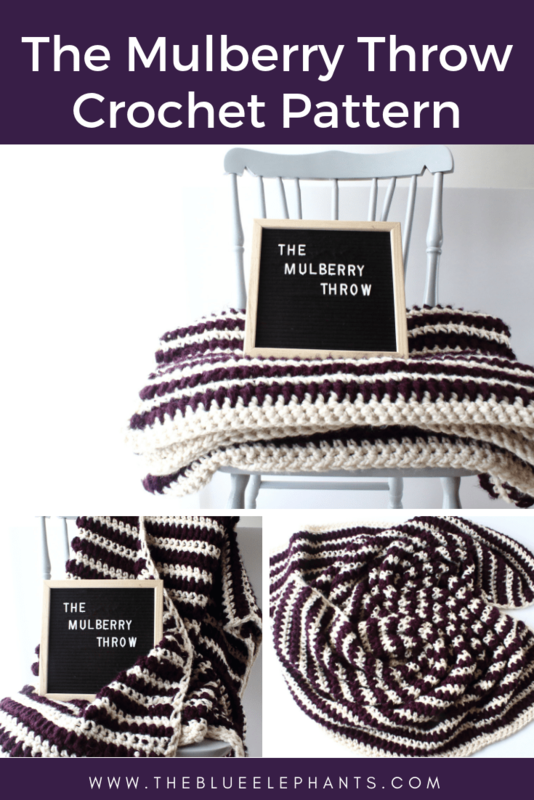 For this throw, however, I chose to cut the yarn and crochet over them instead of carrying the old color all the way to the next row because the yarn was just so thick. I thought it showed too much between the rows and it seemed to eat up more yarn than I liked, especially since there’s so little per skein! Instead, I just crocheted over the shorter tails to weave most of them in and worked the border over it too.